So about those Bare Knuckle boxing matches back in November. We all remember the Bare Knuckle FF card that featured Chris Leben vs. Phil Baroni, Dakota Cochrane, Johny Hendricks, Isaac Vallie-Flagg and a host of other UFC/Stirkeforce/Bellator veterans. Yeah, of the 26 fighters who competed on the first ever World Bare Knuckle Fighting Federation card none of them got paid. Zero. This card was covered by every major MMA publication and Bas Rutten was named the President of the promotion. Now over two months since the Nov. 9 card, fighters are still looking for answers. 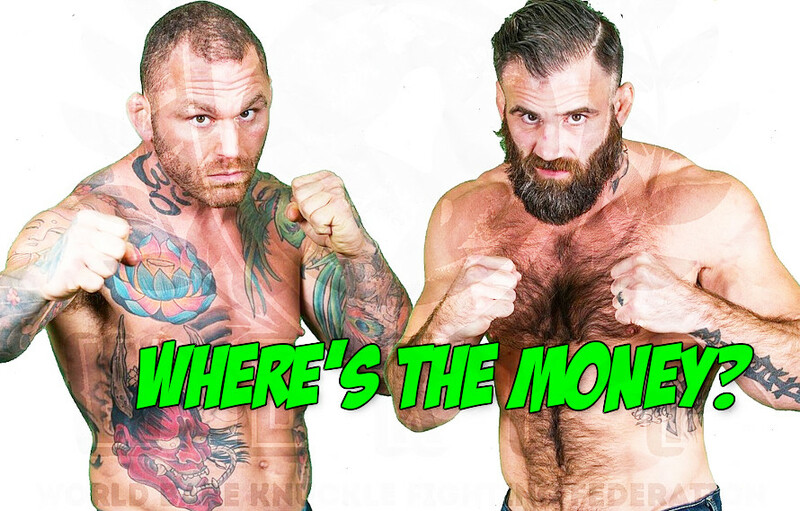 According to roving MMA reporter Mike Russell, owner of the World Bare Knuckle Fighting Federation Tomasz Stankiewicz may not be able to pay any of the fighters; ever. Per court records Tomasz Stankiewicz owes $2,408,864 in mortgage fraud and has to serve 34 months in prison. Not ideal. The Bare Knuckle boxing bubble may be ready to burst but in 2018 it was a banner year for the sport that was trying to make a comeback. Promotions in the US and Europe popped seemingly overnight, and it felt like maybe Bare Knuckle boxing could be a thing again. 12 months later and many of those same promotions have fallen by the wayside or have simply gone underground. To be perfectly honest it was hard to keep up with which Bare Knuckle promotion was which and who was legitimate and who was shady. The Bare Knuckle FF had some genuine star power on it but may now go down as one of the worst one-time promoters in combat sports history. Somebody pay these fighters and never let anyone associated with the World Bare Knuckle Fighting Federation near a promoter’s license again. Dakota Cochrane Put Johny Hendricks To Sleep At WBKFF!